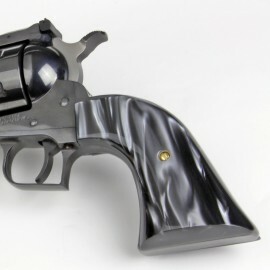 Virginian Arms Revolver Grips There are 4 products in this category. Fits : Dragoon Made from our revolutionary high-tech Kirinite™, these grips are as tough as they are beautiful. Made from our revolutionary high-tech Kirinite™, these grips are as tough as they are beautiful. 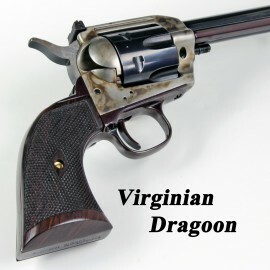 Fits : Dragoon Our Genuine Rosewood Grips are a high-quality replacement for your original factory grips that will enhance both the look and feel of your Virginian Revolver. 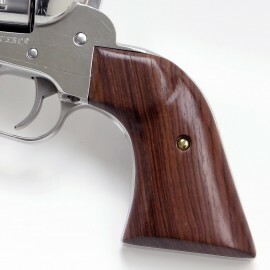 Our Genuine Rosewood Grips are a high-quality replacement for your original factory grips that will enhance both the look and feel of your Virginian Revolver. 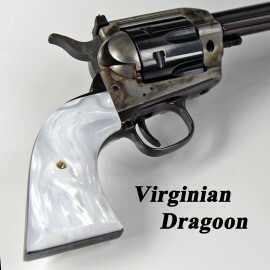 Fits : Dragoon Virginian Dragoon White Pearl Kirinite™ Grips - Smooth Made from our revolutionary high-tech Kirinite™, these grips are as tough as they are beautiful. Virginian Dragoon White Pearl Kirinite™ Grips - Smooth Made from our revolutionary high-tech Kirinite™, these grips are as tough as they are beautiful.